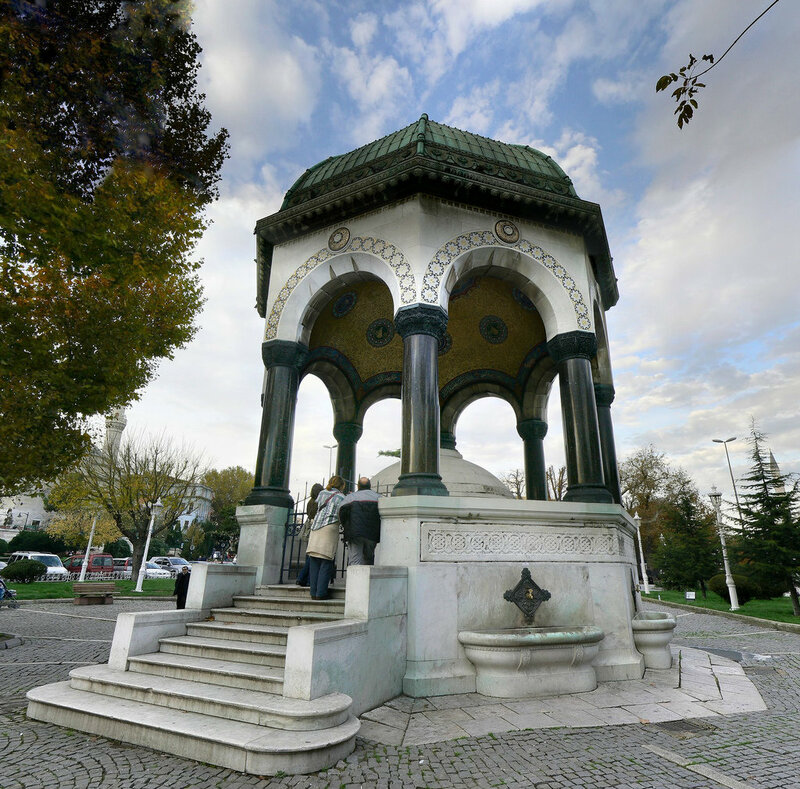 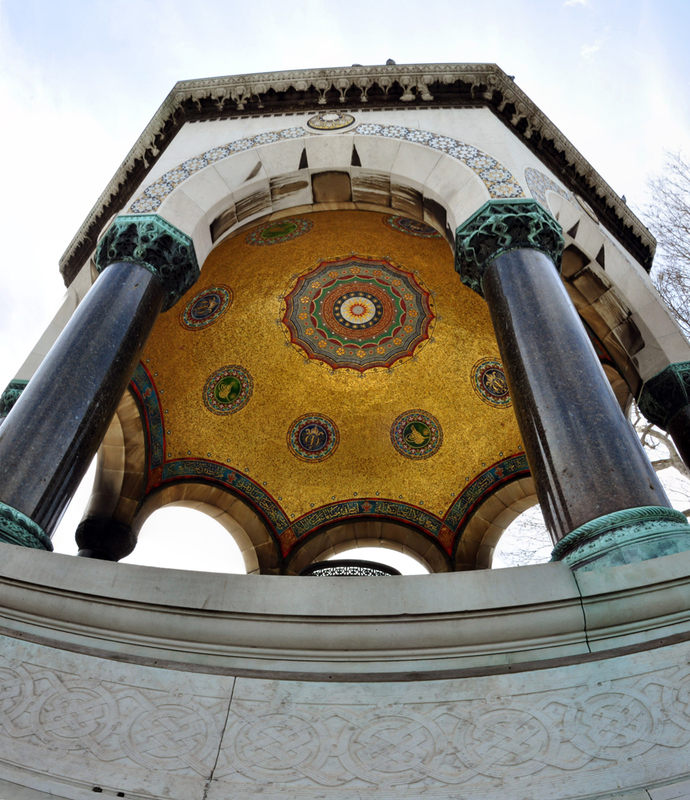 Located in Sultanahmet Square, the German Fountain (Turkish: Alman Çeşmesi) was a present from the German Emperor Wilhelm II. 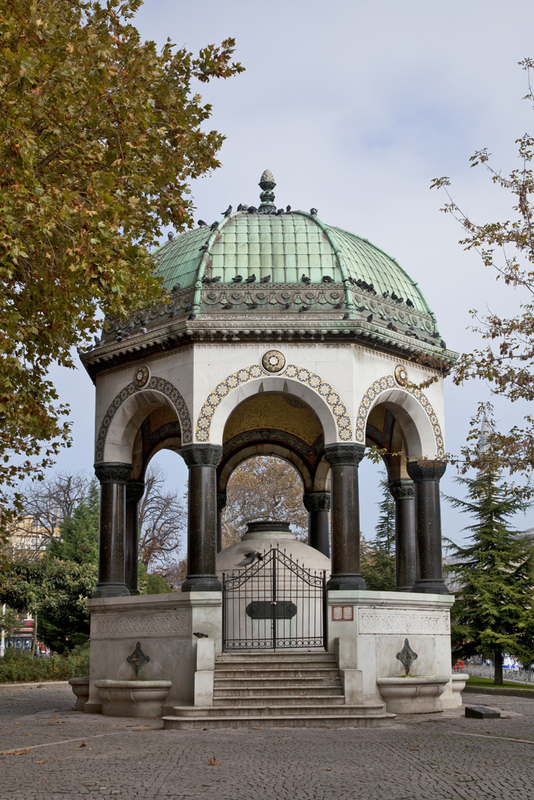 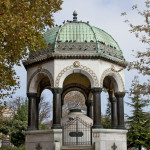 The German Fountain (Turkish: Alman Çeşmesi), located in Sultanahmet Square, was a gift of the German Emperor, Wilhelm II. 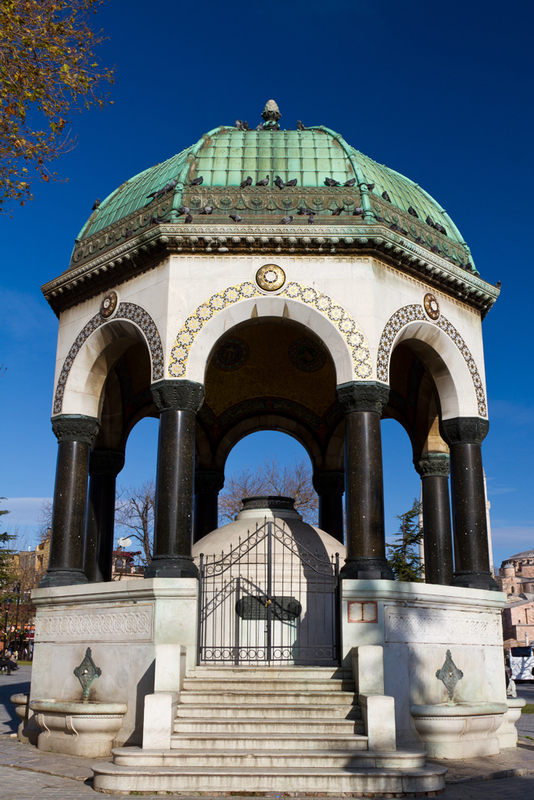 The pieces which make up the fountain were manufactured in Germany and shipped to Istanbul for assembly. 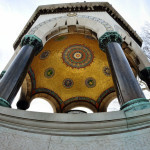 The designs for the fountain were drawn by Spitt, but the project was carried out by Schoele. 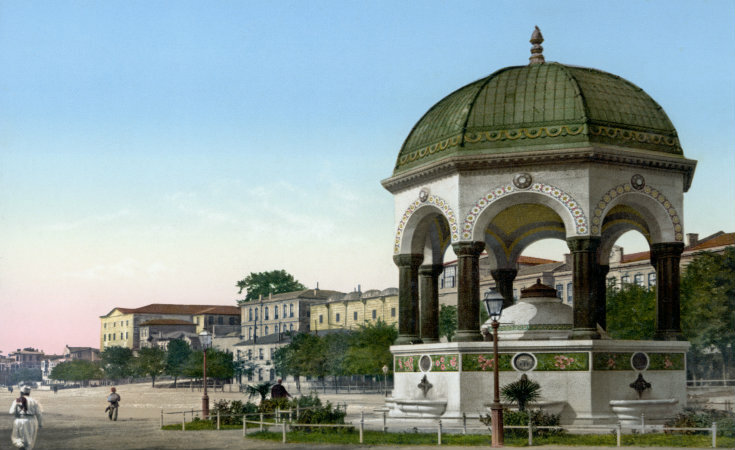 The fountain came into use in 1901. 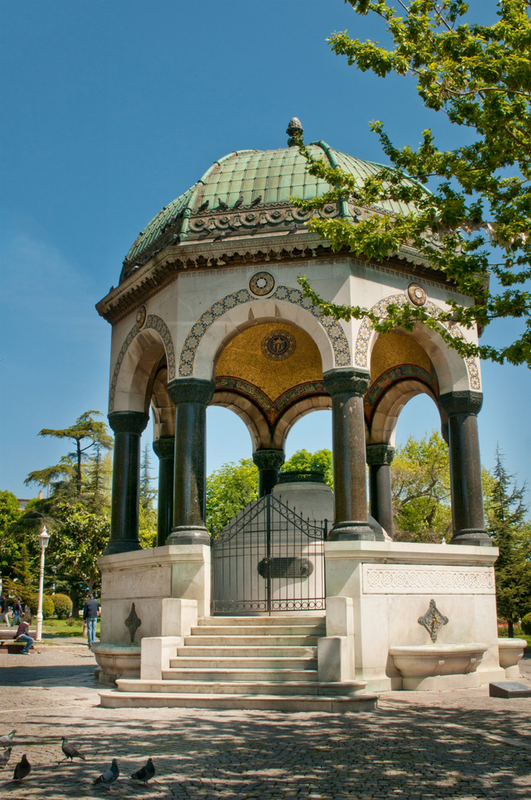 The fountain which was built to commemorate the second visit of Emperor Wilhelm II to Istanbul is decorated with inscriptions in Ottoman and German.